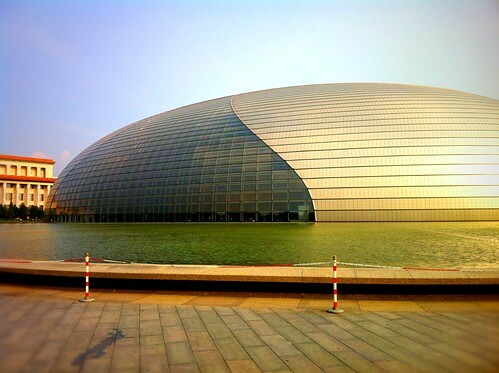 National Centre for the Performing Arts is a dynamic new icon to the arts in the heart of old Beijing. 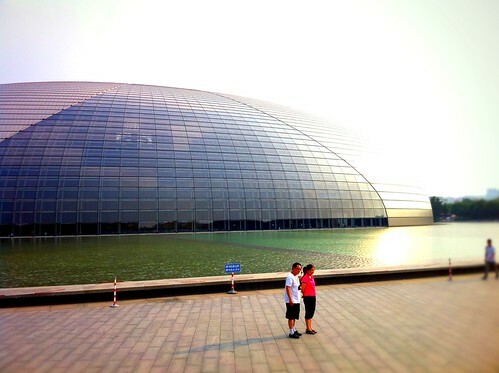 The NCPA's ultra-modern architecture is in sharp contrast to its neighbours, the Great Hall of the People and the Tian'anmen. 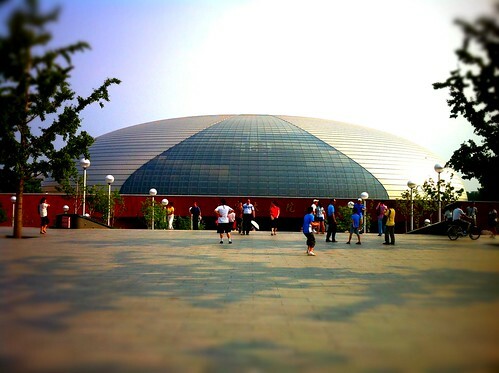 It is a huge silver construction with a total area of 217,500 square meters, with an underground car park of 46,600 square meters. A theatrical motif can be seen in its exterior: the outer titanium shell is broken by a glass curtain, reminiscent of a rising stage curtain, widening at the bottom. Around the lake is a 39,000-m2 green belt, affording the surrounding neighborhood a highly desirable sense of serenity amid the hustle and bustle of a modern city and keeping the NCPA in a tranquil green garden.